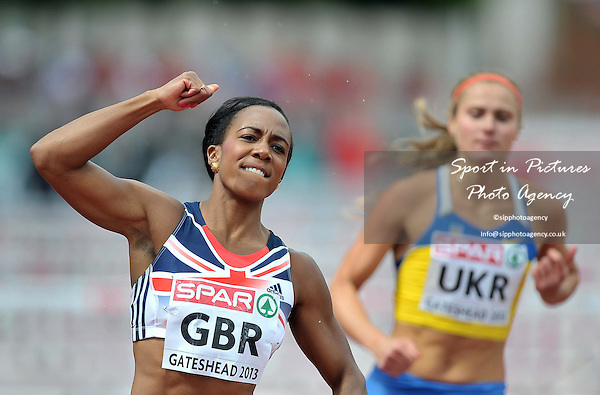 Tiffany Porter (GBR) celebrates. Womens 100m Hurdles. Day 2. European Team Athletics Championships. Gateshead. Tyne and Wear. UK. 23/06/2013.